Hotchkis Sport Suspension 22826F 2001-2006 BMW E46 M3 Front Sport Sway Bar. Enhance the cornering performance of your M3 with Hotchkis Sport Suspension Front sway bar. Our M3 sport front sway bar increases front roll stiffness giving the car quicker turn-in response and balanced handling. As delivered the M3 handling characteristics are excessive under steer and limited roll control. Hotchkis sway bars give the driver the ability to rotate the car on corner entry and steer with the throttle when necessary. The dreaded under steer is eliminated and the handling becomes comfortably neutral. 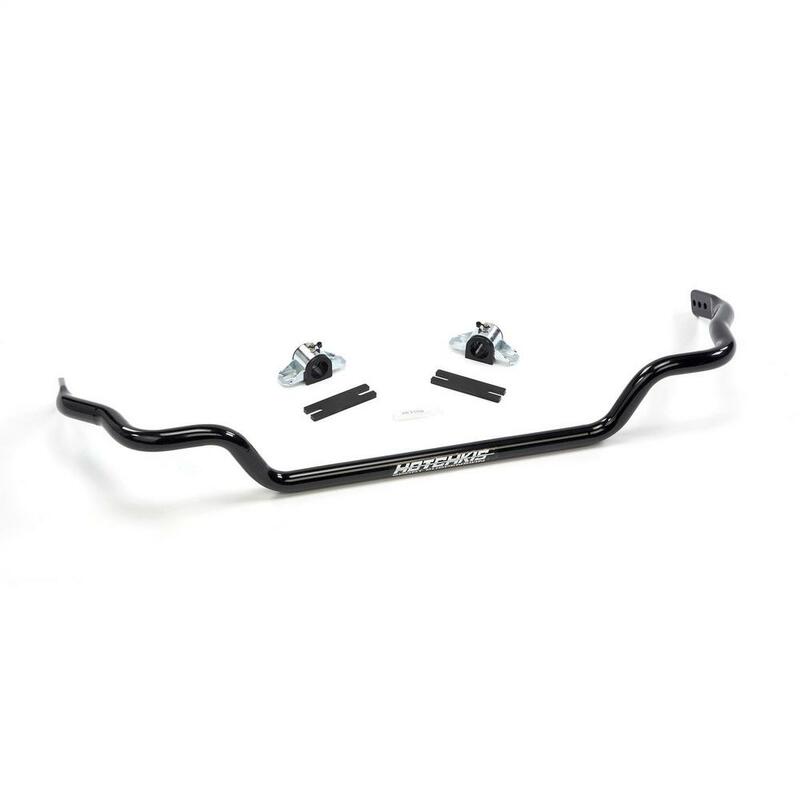 Hotchkis sway bars feature a durable powder coat finish greasable bushings performance rear end links and 6 different tuning rates via multiple end link positioning (when installed as a set). Specifications: 1-3/16 in. (30mm) Tubular Front Bar 3 Way Adjustable. Rate Increase vs. Stock +11% +28% +49%.